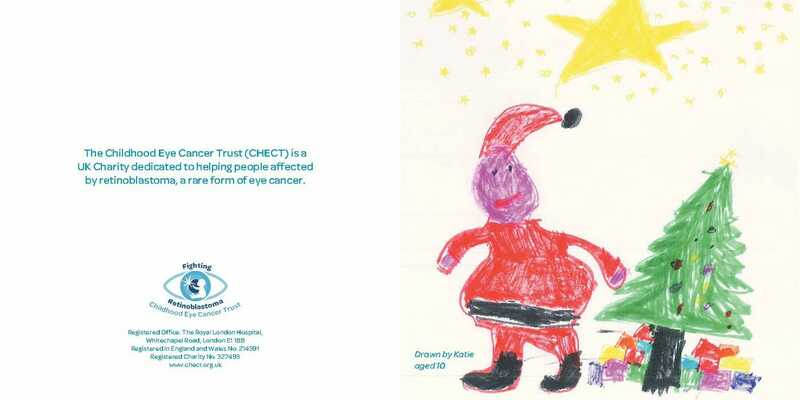 Our Christmas cards have been designed by children who have, or have had, retinoblastoma. 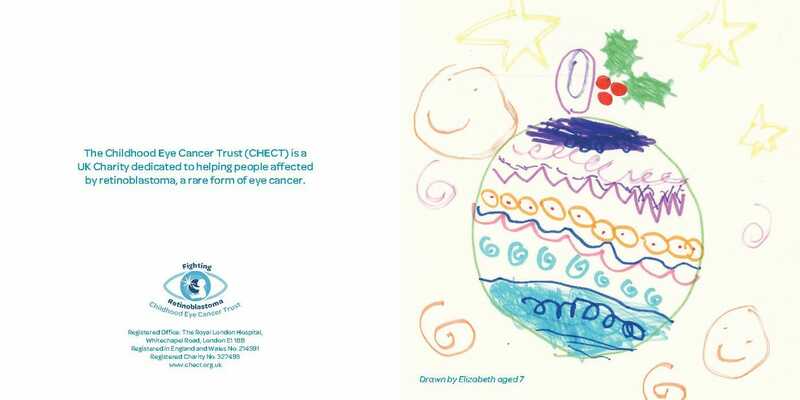 All profits go to the Childhood Eye Cancer Trust to help us support families affected by eye cancer, fund research and raise awareness. Cards come in packets of 10, with two of each design per pack. They cost £6 including P&P. Alternatively you can buy them directly from our support workers at the Royal London Hospital and Birmingham Children’s Hospital for £4.50. To order your cards online, please fill in the order form below. Once completed, you’ll be redirected to Paypal to make the payment. This is quick and easy and you don’t need a Paypal account, you can pay by credit or debit card too. All of the designs are also available to send as eCards. 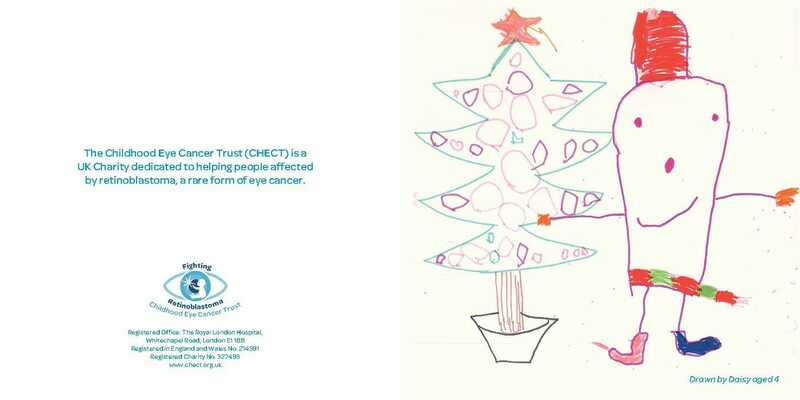 Visit our CHECT Christmas eCard page for more details. 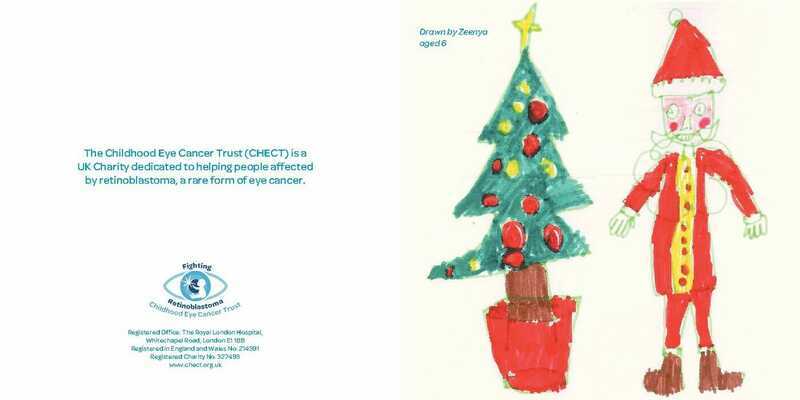 If you have any questions or problems ordering your cards, please call us on 020 7377 5578 or email info@chect.org.uk. 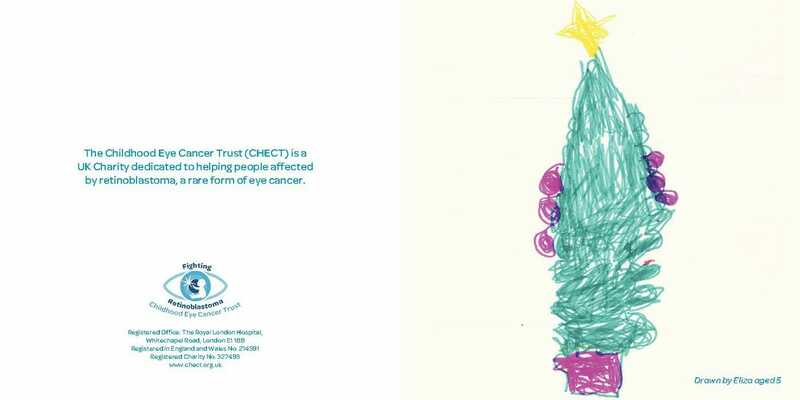 Thank you to the following children for their designs: Daisy, aged 4, Eliza, aged 5, Zeenya, aged 6, Elizabeth, aged 7 and Katie, aged 10.